Where is your College located in relation to the Capital of your state/territory Xavier Catholic College (XCC) is located in the town of Wurrumiyanga on Bathurst Island, 80 kilometres north of Darwin. 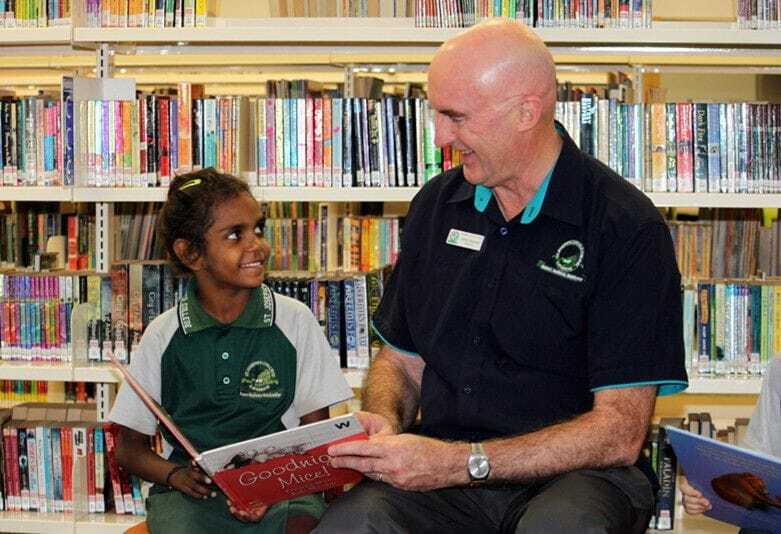 Together MCPS (Murrupurtyanuwu Catholic Primary School), XCC forms the Catholic Education Precinct and alongside the community provides a Quality Catholic Tiwi Education for students from Pre-School to Year Thirteen. XCC was originally established as a boys' school in 1932 and it now offers coeducation opportunities for 122 students from Year Seven to Year Thirteen. Middle School students (Year Seven to Year Nine) study Religious Education, Australian Curriculum English, Australian Curriculum Mathematics, Science, History, Geography, Health and Physical Education, Creative Arts (Music and Art), and Design and Technology (Woodwork and Food Technology). Senior School students (Year Ten to Year Thirteen) study academic and vocational subjects and since 2013 the college has had nine students graduate with their NTCET the first to do so whilst studying on the island. Educating parents and the wider community about the special dimensions to a Catholic Education i.e. holistic education and schools' commitment to living out the principles of Catholic Social Teaching. Where is your College located in relation to the Capital of your state/territory Santa Teresa is in the centre of Australia 80 km south east of Alice Springs and I 600 km from Darwin, capital of the Northern Territory. At OLSH we have a long tradition and are well know in the local community for our pastoral care of students. More recently we have focused on developing professional learning communities with an emphasis on engaging and creative learning. Alice Springs is a very transient community which poses challenges in developing and maintaining school culture. It is also a challenge attracting staff to live in Alice Springs. Catholic identity of students, parents/families, and staff. Where is your College located in relation to the Capital of your state/territory St John's Catholic College is located in the heart of Darwin. How many students 210 students. A third of our students are from the local Darwin area, a third of our students are from remote Indigenous communities across QLD, NT and WA, and a third of our students are from International locations. What was your role prior to taking up this appointment Deputy Principal at St John's Catholic College Darwin, prior to that, Principal at Xavier Catholic College Wurrumiyanga, Bathurst Island. Providing the structure and opportunities that allow students to flourish.. The opportunity our College provides to students from a refugee / humanitarian program background. To continue to inspire students to lead, learn, love and live with a strong sense of Heart Spirituality. Where is your College located in relation to the Capital of your state/territory Katherine, 312 km south of Darwin at the junction of the Stuart and Victoria Highways..
What is the nature of your College Coeducational College with an Early Learning Centre, Primary and Secondary programs. Year 12 commenced for the first time in 2014. The College opened in 1987 and the foundation principal was a Daughter of Our Lady of the Sacred Heart and the Parish Priest was a Salesian. How many students We currently have a total of approximately 300 students. It is a highly transient community with one third of our students leaving each year. At present, there are 75 indigenous students and 54 students from the RAAF. 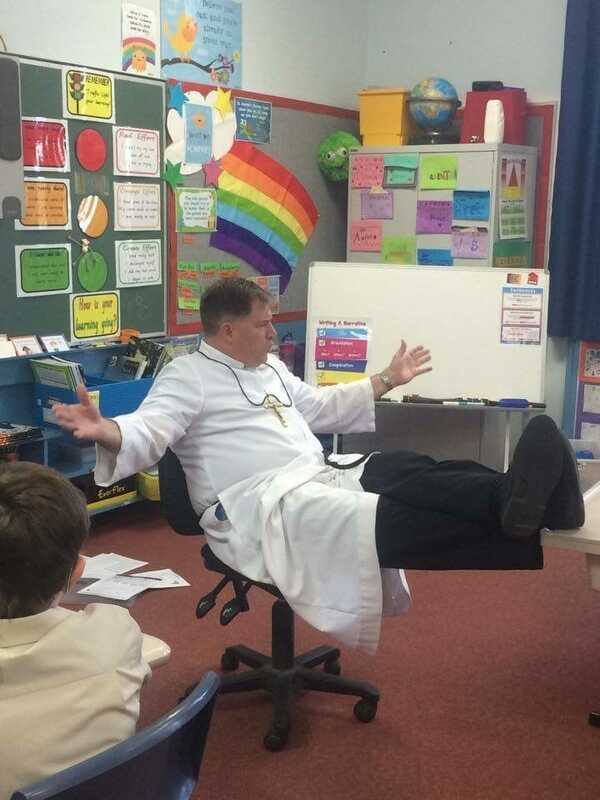 What was your role prior to taking up this appointment Director of Teaching and Learning at Sacred Heart Kyneton, Victoria. 1.We have a very dedicated staff who strive to deliver a quality and very innovative curriculum in a complex environment. 2. Our students are so friendly and welcoming and adjust well to change. Geographic isolation and the associated networking opportunities for staff who are very keen to establish links with innovative schools across both Australia and internationally . 1.Ensuring that gospel values and justice remain the prime focus of our schools as we meet the challenges of our materialistic contemporary Australia. 2. Federal funding and the disappointment that followed the hopes raised in the Gonski Report for addressing education inequities. Where is your College located in relation to the Capital of your state/territory In Darwin, the suburb of Karama. The supportive and inclusive nature of the College community. The drive and commitment of staff. Support and encouragement to students and staff, which enables them to achieve to their best. Playing a key role in setting the positive tone and environment within the community. Creating an environment where academic achievement and leadership are viewed as worthy and important. The Northern Territory in general lacks a culture of academic achievement. The transient nature of staff and, to a lesser extent, the community. Our students rely on building relationships in order to achieve to their potential and this can be very difficult if there is the constant turnover of staff. Also, this issue means that there can be a lack of continuity and development of school programs. Promoting Catholic Education within the context of the Royal Commission. Remaining true to the Vision and Mission of Catholic Education. Our College is a new Coeducation Catholic College in the city of Palmerston NT and in a very short time has gained the confidence of the community. We are proud of our school, the community and the people of the wider Palmerston and rural areas who have so generously helped us develop over the past 2.5 years. Finding teachers for specialty areas and teachers with qualifications to teach Religious Education. Parents being able to afford fees. The increasing number of students who have little experience of church. Having sufficient funding to provide good quality education.